In this build issue with Outlook 2007 “freeze” solved. 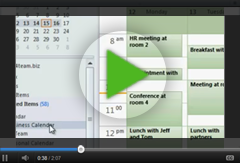 ShareO / ShareCalendar / ShareContacts version 2.98 were recently published on our website. ShareO / ShareCalendar / ShareContacts ver. 2.95.0396 have been recently released on our website.